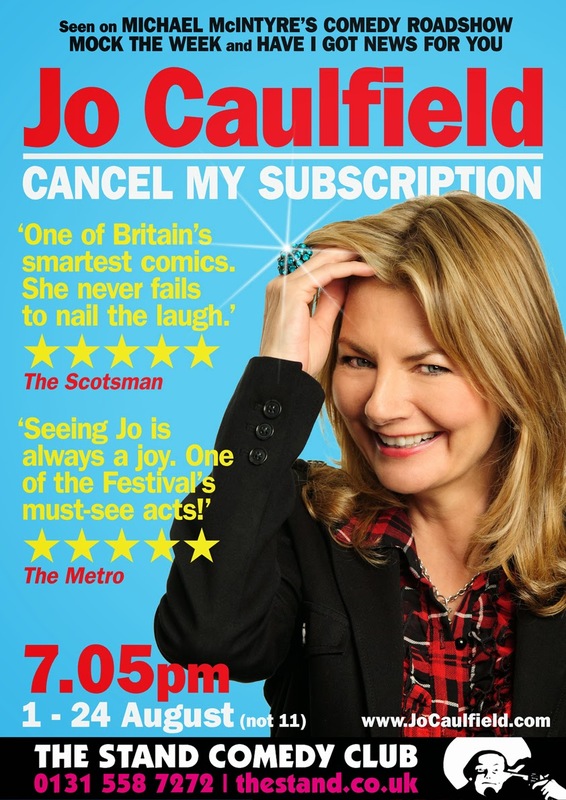 Jo Caulfield is surely one of the most intelligent comedians on the circuit. Not only are her jokes well sculpted, but she manages to keep surprising the audience with further punchlines. With Cancel My Subscription, she has created a smooth and entertaining prospect for audiences. As Caulfield takes to the stage, she has a supremely confident air about her that comes naturally with her experience, or perhaps it was down to the fact that she found herself in her current stomping-ground of Edinburgh. There is no need for huge energy with her style of comedy, but that is because the material is so strong and the delivery so sound. The best part of Caulfield's comedy is her art of adding further layers to a seemingly simple joke; that is to say that we think we've heard the punchline until Jo slaps an even better one down on the table. And another. And sometimes even another. The narratives were clearly the strongest part of her comedy and the show was (rightly so) based around this. They teetered on the ridge between the realistic and the absurd, resulting in a few painfully funny outcomes. The depiction of a certain hotel-based incident was a clear audience favourite. The topics took a variety of forms, including the flavour-of-the-month amongst standups this Fringe: the Scottish referendum. However, at times, Caulfield found herself relying on overused topics such as marriage and the male stereotype. Though these were still entertaining.